encouraging all of its members to attend the Oakland Transportation Management Association’s 3rd Annual Oakland Transportation Fair! 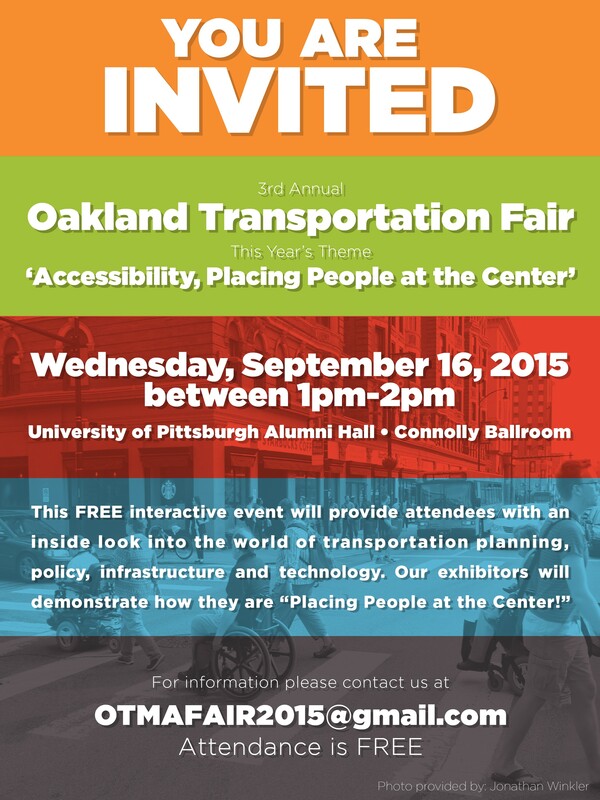 This FREE and INTERACTIVE event will take place on Wednesday, September 16, 2015 at the University of Pittsburgh’s Alumni Hall- Connolly Ballroom, from 1PM-2PM. ** Each attendee will receive a gift bag. The event will also feature a transportation-themed candy buffet and popcorn.